1. 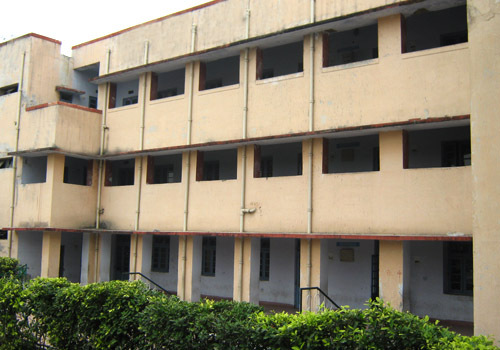 This was the Fifth School established by AndhraEducation Society in 1975 under Integrated Development programme. It wasstarted in humble way with a modest strength of 22 student and two teachers ina rented accommodation in east of kailash (ljpatnagar) to cater to theeducational needs of telugu resident of South Delhi. 2. This was recognized as a primary School byMunicipal Corporation of Delhi in 1979. 3. With the addition of 3 more classes i.e. up to 8thclass it was recognized as Middle School by education Department of Delhi fromthe academic year 1983-84. 4. Grant-in-aid was sanctioned by the Delhi govt.in 1987. 5. Due to shortage of accommodation, it was shiftedto Andhra Association, building at Lodhi Road in 1990. Dr. K.RameshBabu, who asSecretary of Andhra Education Society during 1977-79 was driving force behindestablishment of this school. 7. Allotment of suitable land for this schooleluded for several years inspite of sincere efforts made by the society .theuntiring efforts made by dedicated members like Sarva Shri G. Krishna rao, ASubba Rao,E.U rao,G.S.N. Murthy , KokaRadha Krishna bearfruits in 1994,when a land measuring 2 acres was allotted by L&D.O, ministryof Urban Development in Sector VII pushpavihar on a concessional cost of rs.10.4 lakhs. This could be achieved only by the blessings of so many wellwisherslikeSmt Lakshmi Raghu ramaih, Shri K. jaibharatreddy I.A.S. ShriG.v.krishnarao I.A.s, Shri P.V.R.K. Prasad I.A.S and Dr. Vidyanathiyear I.A.S. 8. Construction work of School building at itsallotted site was commenced in September 1996 by Dr.UmmareddiVenkateshwarlu thethen Hon’ble union Minister of Urban Development. 9. After functioning in rented accommodation for 22years this school was shifted to its own premises. 10. In pushpvihar in 1998.Construction of the entirebuilding complex was completed in 2000 at a cost of more than 2.5 crores . Thisnew building which is praised as a marvelous structure by one and all thedignitaries consists of 34 spacious class rooms,3 laboratories anadministrative block , basement indoor auditorium, 3 tennis courts, basketballcourt and a Skating Rink have also been developed in this complex .thisbuilding was inaugurated by Hon’ble Chief Minister of A.p. Shri. N.ChandraBabuNaidu on 28th October 2001. 11. After shifting to its present location, theschool has graduated itself as one of the most sought after school of the areaas is evident from the ever increasing demand for admissions Today , withspacious accommodation and high standards of education consistently maintainedthis school has transformed into a reputed institution with a strength of 1300students and 40 faculty members serving the needs of all linguistic groups and regions, thus presenting a true symbol ofnational integration with a cosmopolitan outlook. 1. This was the 4th school established by AES in March 1975 under integrated Development program. 2. Started in a humble way in a rented accommodation with a modest strength of 70 students and 4 teachers. 3. Recognized as a primary school by M.C.D without grant-in–aid on 1-5-1978. 5. 2 acres of land was acquired from D.D.A in 1985 in B-3 Block, Janakpuri. 6. The school shifted to its location, after constructing temporary sheds in 1986. 7. Upgraded from middle to Secondary level with effect from 1-4-1988. 8. Upgraded secondary to senior secondary levelfrom the academic year 1992-93. 9. Foundation stone for its permanent building waslaid on 28-4-1998 by hon’bleLoksabha Speaker Shri G.M.C. Balayogi. 10. The permanent building consisting of one Teaching Block and one administration Block with 30 class room and Indoor auditorium is just constructed at a cost of rs.2 crores and will be inaugurated shortly. 11. This school is making steady progress in providing Quality education year after year. 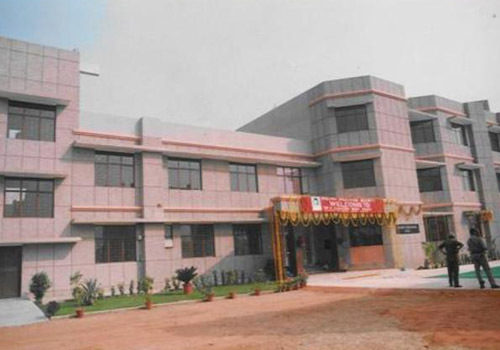 Having been impressed by the excellent academic performance and strict discipline that are being consistently maintained , this school has become a most sought after institution for the local populace also.it is heartening to place on record that this school was adjudged as one of the 10 best school in N.C.T. of Delhi for securing highest pass percentage in X the class C.B.S.E. Board examination 1996-97 and if continues to keep it up its reputation for excellent performance in both X and XII Class C.B.S.E. Board exams. Today this school, alike other constituent schools of AES, is serving the education needs of not only the telugu community but also all other linguistic groups and regions, thus presenting a national integration with a cosmopolitan outlook. This School was initially started as a Primary School in a humble way with one teacher and few students in 1957 to serve the long belt educational needs of Telgu Speaking Community residing in and around Karol Bagharea .A generous donation of Rs.1000 given by Shri M.Subramanyam Sarma of tenaliprovided the impetus and persons with vision and devotion like Smt.Durgabai Deshmukh,Dr B.V.Nath,Smt.Ayesha AbdulQuadir,Shri T.RamaChandraRao,G.Srinivasa Rao and a few other very responsible for founding the School. When the Andhra Education Society, Under the dynamic leadership of Dr. Burra Venkatappaiah launched an “Integrated DevelopmentProgramme ” for expansion of teluguSchools in delhi , The management of this school was handed over to A.E.S in1975v.Thanks to Late J. Vengala Rao , the then chief minister of Andhra Pradeshand C.anna Rao the then Chairman of T.T.D, the Govt. of Andhra Pradesh andTirumalaTirupati Devastanams had graciously sanctioned Rs 9 Lakhs each as grant -in-aid for Implementation of this programme. the Andhra Education Society ,while2 more school at janakpuri and LajpatNagar (Now in Pushavihar. ), simultaneously taken up the construction of permanent building of school .The first phase building of this school was constructed through C.P.W.D ata accost of over Rs.8 lakhs and was opened on 30thaugust 1981 by Shri Prabhakaran Reddy , the then Finance Minister ofandhrapradesh on behalf of T. Anjaiah the then Chief Minister of AndhraPradesh. In the rapidly changing world it is difficult to find goodsocial workers. This School has weathered many storms and stands today in allits grandeur, as a fitting tribute to the valiant and determined efforts ofdedicated workers like Dr. B.V. Nath & T.R. 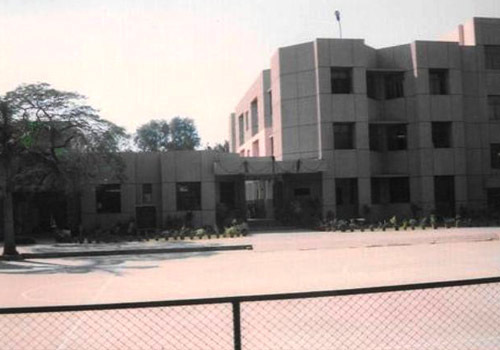 Rao memorial senior secondaryschool in 1994. 1. 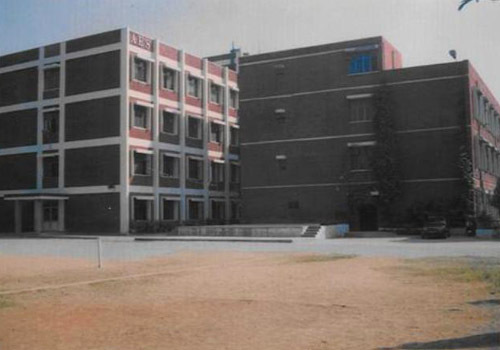 The school was first recognized as Middle School in 1968 and came under the purview of Delhi Administration in 1970. 2. It was upgraded as a Secondary school in 1982-83 and was recognized with grant-in-aid by the Directorate of Education, in August 1983. 3. It was again upgraded from secondary to Senior Secondary level in 1992-93 with grant-in-aid. 1. This school has made steady progress in providing quality education year after year .having been impressed by the excellent academic performance and strict discipline consistently maintained by the school, it had become a most sought after institution for the local populace also. with the growing popularity and preference of parents for admission,the accommodation fall too short to accommodate the ever increasing strength Having realized that to provide a meaningful education to our children proper infrastructure is must , the A.E.S had taken up the task of constructing an additional building .accordingly foundation stone was laid for the new building by late G.M.C Balayogi the the Lok Sabha Speaker on 22nd December 2000. However, due to delay in obtaining the approval of Building,Which was construction in a record time of the year at a cost of 1.2 crores,consist of 13 spacious class room, one multipurpose hall and 4 well equipped laboratories. Dr.Durgabai Deshmukh came to Delhi in 1947 as a member of Constituent Assembly.She strongly felt the need for having proper education facilities for Teluguspeaking children in Delhi. AndhraEducation Society was therefore founded on 5th of June 1948 by Dr. DurgabaiDeshmukh along with a few other eminent Telugu persons living at that time inDelhi. It was registered as a Society with the aims and objects to providefacilities for imparting and promoting education of Telugu Language and to inculcatepromote and preserve Telugu culture among Telugu People living in Delhi. Inpursuance of the above objectives, Dr. Durgabai Deshmukh started her mission,with the modest beginning of a small primary school from her residence in HouseNo-21, Canning Street, New Delhi. The sapling planted by Dr. Durgabai Deshmukhhas now spread into a Banyan Tree of Five Schools and these Schools areproviding holistic education to more than 7500 students. Upholding the ideal ofNational integration, the benefit of service is being provided to majority ofNon Telugu students also. Dr.Durgabai Deshmukh not content with the School education with the vigorousefforts, perseverance and with the support of the Tirumala TirupatiDevasthanams (T.T.D), she started Sri Venkateshwara College in the year 1961.The college was inaugurated in the present A.E.S. School campus. Smt. IndiraGandhi who attended the function as chief guest acknowledged Dr. DurgabaiDeshmukh as her “ Guru” in the field of Social Service. Now Sri Venkateshwara Collegeis one of the reputed colleges in Delhi University. Dr.Durgabai Deshmukh was born to Shri Rama Rao and Smt. Krishnavenamma on 15thJuly, 1909 in Rajahmundry (in Andhra Pradesh) in a middle class family. She didnot have access to formal education initially. But it was due to sheerdetermination to educate herself that she passed Matriculation (1934) and Intermediate(1936) from Banaras Hindu University and obtained a Bachelor’s Degree (1939)from Andhra University. Later shestudied law (1941) and began practicing at the Madras High Court (1942). AfterIndependence she joined the Supreme Court Bar. She was married to Shri C. D.Deshmukh, ICS who was the first Indian Governor of Reserve Bank of India, andFinance Minister of India during 1950 – 1956. Inrecognition of Durgabai’s immense contribution in the fields of Politics,Social Service, Women Empowerment and Education, in the year 1962, she wasawarded Honorary Doctorate by Andhra University, Vishakhapatnam. Froman early life Durgabai actively participated in all activities of freedommovement organized by Indian NationalCongress. For the first time, Durgabai’s unswerving commitment towardsfreedom struggle was recognised in 1930, when the Salt Satyagraha was launched.She, with the help of two other prominent Freedom Fighters namely Andhra KesariPrakasam Pantulu and Desodharaka Nageswara Rao organised the movement in Madras(now Chennai). The then, British Government imposed the sentence of one yearimprisonment on her and she was put in Central Jail Velloor. She was releasedfrom the prison on 07th March 1931 after ten months of imprisonment,on the basis of agreement entered into between Lord Irvin and Mahatma Gandhi.In 1932, in the movement for promotion of Khadi and Boycott of foreign goods,Durgabai was arrested and sent to prison for a period of six months. In theVelloor prison while undergoing the sentence she refused to take facilitiesavailable for ‘A’ class prisoner andrequested to authorities to treat her like any other freedom fighter with ‘C’ class facilities. To break hermorale, the British government subjected her to many kinds of torture in prisonincluding forcing her to share the prison cell with notorious female criminals.Despite her family poor economic position and many other domestic problems shesteadfastly continued in various activities of freedom struggle and pursued herstudies. Dr.Durgabai Deshmukh was a great champion of Women Empowerment and Literacy. Shestarted a school to impart education to illiterate women in her own house whenshe was hardly eleven years old. At the inspiration of Mahatma Gandhi shestarted teaching Hindi and patriotic songs to neighbourhood women and children.In the Congress session held in Kakinada in 1923 Durgabai led six hundred womenvolunteers trained by her to serve the congress session. 1. A charitablemultispecialty Hospital and Paramedical Training Centers including college ofnursing. 2. Women’s Artsand Science College. 3. College ofLaw for women. 4. School ofInformatics for women. 5. College ofEducation for women. Dr.Durgabai Deshmukh was also member of Planning Commission and in that role, shemustered support for a national policy on social welfare. The policy resultedin the establishment of Central Social Welfare board in 1953. As the Board’sfirst chairperson, from 1953 to 1962 she mobilized a large number of voluntaryorganizations to carry out the Board programs, which were aimed at education,training, and rehabilitation of needy women, children, and the handicapped. Shealso headed first National Commission for Women Education which made manyimportant recommendations for imparting Education to girl child. During 1960’sshe participated in many Educational conferences as a representative of India.Dr. Durgabai Deshmukh at the request of the founders of Blind ReliefAssociation took over the responsibilities as president in 1967 and till 1972she mobilized all resources and her energy to make the Blind Relief Associationa true Service and Training Centre in the service of visually impaired in developingtheir competencies to lead a purposeful and dignified life. Dr.Durgabai Deshmukh because of her failing health found extreme weather of Delhias uncomfortable and she shifted to Hyderabad in 1972 to look after theactivities of Andhra Mahila Sabha in Hyderabad. Governmentof India commended the service rendered by Dr. Durgabai Deshmukh in variousfields by conferring on her the honour of Padmavibhushan in the year 1975. Dr.Durgabai Deshmukh passed away on 09th May, 1981.